Unique Guesthouse Bandung located just 10 minutes drive by car from Bandung City train station, at Jl. Ence Azis No 34, Gardu jati, Gardujati, Bojongloa Kaler, Bandung. Unique Guesthouse chain management expanded their property and build another one named "Unique Guest House 2", located at Jl. Ence Ajiz Blakang no. 53, Bojongloa Kaler, Bandung, Indonesia. This 14 rooms guest house located near Cihampelas City Walk (ciwalk) for only about 20 minutes drive, 10 minutes from Bandung Indah Plaza (BIP) Mall, and Asia-Afrika Museum. Gedung Sate (Satay-Building), an administrative office for West Java province is located 15 minutes away from Unique Guesthouse, 20 minutes away from Trans Studio World, Bandung. 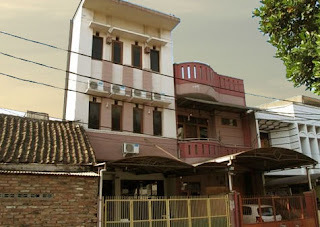 Airport Husein Sastranegara can be reach for 5 minutes from this guesthouse. Facilities suitable for a backpacker's place, fully equipped with spring-bed, cupboard, table and fan in each room. There are air condition and smoking room in some designated rooms. Free parking, and wifi is available. The price range of Unique Guesthouse is vary between IDR 200.000 to IDR 300.000/night, while Unique Guest House 2 is IDR 100.000 to 250.000/night. Get discounted price of Unique Guesthouse through the booking form below.